Nicaragua has some of the best surf spots and breaks in the Pacific and still remains largely unknown (and most important, uncrowded) to most of the surfing community. The country claims fame to one of a longest surfing season lasting for about nine out of 12 months. The country is famed for its swells in reef breaks and sandbars. Colorados is a very fun beach break. The beach break extends a couple hundred yards and the line up is usually spread out. 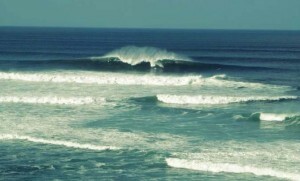 In the best conditions, there are offshore split peak barrels up and down the beach. It is frequently good, with lots of barrels. Panga Drops has two split peaks that break on a rock reef. The peaks can be shifty and it takes a lot of paddling to get in the right spot on bigger days but the good waves are well worth it. There are always waves at Panga Drops year around. It picks up a lot of swell. Playa Escondida is a heavy left that only breaks when it’s big. Rosada is a killer little mini-left point breakt. It is best surfed on a low tide. The quick lefts break along shallow non-forgiving rocks. Not that many people surf it. Santana is a quality left-wedge. When Santana fires, the left wedges make for great barrels. There is also fun beach break for a couple hundred yards down the beach. There are a lot of local surfers that surf Santana and also quite a few gringos. It needs a little tide to work. Popoyo is a good split peak reef break. The wave can get really good and barreling with a long face to do turns. Popoyo needs a little tide. Popoyo Beach Break is a Kirra like right hand beach break that gets really insane. Astillero Beach Break is a killer little beach break with mostly rights that is super rippable with nice little barrels. Lance’s Left is a really friendly long wave. It is great for longboarding and funboards. It actually gets really rippable for shortboarding also. On bigger days, it becomes a little more of an advanced wave and can have some barreling sections. Surfers also arrive by parking in the neighboring fishermen village and walk over. Lance’s is usually consistent with lots of waves for everyone. Chacocente is a long stretch of beach with nice sand bars and some rocks. This place can get really good and is rarely crowded. There are a lot of barrels to be had on good days. It is a turtle reserve so while the turtles are laying their eggs, it’s prohibited to surf there. “Playgrounds” or Veracruz has a beautiful cobblestone setup, similar to Lowers, Trestles in Southern California. This wave is called Playgrounds for a reason. It is like surfing a skate park, with split peak ramps and barrels. Veracruz is right up there for one of the best breaks in the Nicaragua. Manzanillo is a quality left-hand point point break. When the break reaches it’s full potential, it’s one of the best waves Nicaragua has to offer. Even on mediocre days, it is a very fun wave. The long lefts hug the beautiful cliff and race across the shallow rocks. It is a magical place to surf. It is best to surf Manzanillo on a mid-tide. Windmills is a great wave for beginner to intermediate surfers. Not that many people surf here. It is perfect for groups wanting to surf by themselves. Maderas is a beach break that can get really fun, accompanied with a hefty left-hand point break Machete. Machete can get heavy with powerful barreling waves. This is the beach all the people from San Juan hang out at and learn to surf, etc. It can be a zoo. Remanso is another wave that is great for beginning to intermediate surfers. Rights and Lefts roll in perfect for longboarding and funboards. The bottom is reef and rock. 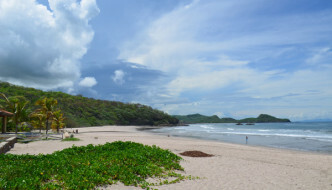 Tamarindo is a cool little bay with a left on the north side of the beach and a right on the south side. The bottom is reef rock. The crowds are pretty mellow. It is a beautiful set up and a good wave. Hermosa has an awesome set up and some really good waves. Similar to Tamarindo, it’s a cove with rights and lefts that break on shallow reef rock. There is a hostel and restaurant there now and it has become a really popular place to hang out for the San Juan crowd. Playa Yankee is a stunningly beautiful mile-long beach blessed with a world-class left wedge on the south side of the beach. The way the reef is set up it creates a perfect left wedge that breaks across sand bottom with rocks on the inside. For the left to work, it needs a mid to high tide. 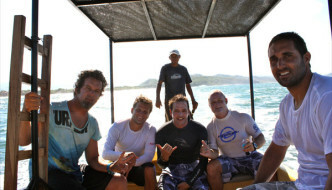 Yankee is one of the best waves in Southern Nicaragua hands down. Down the beach there are beach break peaks that are good for beginners on the smaller days. On the north side of the beach, on low tide the right point can get Kirra like, really good and barreling. It is also bottom with scattered rocks.